March 23, 2016, San Diego, CA – When a woman decides she is done having children, she often seeks out options for permanent birth control. Unless her partner opts for a vasectomy, she is left with two options: surgical or nonsurgical. Most women are familiar with the surgical option of tubal ligation, better known as “getting your tubes tied.” Tubal ligation involves surgically closing a woman’s Fallopian tubes either by burning or severing with a clip. The woman must be anesthetized during the procedure so doctors can go in through a small incision in the abdomen. More recently, women were given access to another form of permanent birth control that reportedly didn’t require surgery. Instead, doctors inserted small, metal coils called tubal microinserts into the Fallopian tubes without the need for surgery. The body then formed scar tissue around the inserts which blocked off the Fallopian tubes. Essure is the name brand of microinserts currently on the market today. The idea of a nonsurgical permanent birth control sounded appealing to many women, which may be why an estimated 750,000 women have had Essure implanted as of 2014 worldwide. But unlike tubal sterilization, which has been performed for over 100 years and gained popularity in the 1970s, Essure is a relatively new development in the field of permanent birth control. Essure was approved by the U.S. Food and Drug Administration (FDA) in November 2002 through its Pre-Market Approval (PMA) process. It was originally manufactured by Conceptus, Inc. before the company was bought by pharmaceutical giant Bayer in 2013 for about $1.1 billion. From the time Essure was approved on Nov. 4, 2002 to Dec. 31, 2015, over 9,900 women filed Adverse Event Reports with the FDA regarding the Essure device. Nearly 7,000 women reported abdominal pain; nearly 3,000 women reported headaches; and most reports included more than one adverse side effect. More than 800 reports included migration of the device from the Fallopian tubes to other parts of the body and more than 400 included breakage of the device. Migration could have occurred just after Essure was inserted, or months or years down the line. In many cases, some or all of the Essure device perforated the Fallopian tubes and embedded into the uterus. In rare cases, the devices moved from the Fallopian tubes into the abdomen. Wherever the device ended up, women reported severe pain as a possible result. 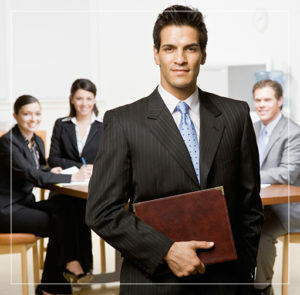 Several cases of device migration have been documented by doctors and published in various medical journals. One case study published on Nov. 17, 2014 in the Journal of Therapeutics and Clinical Risk Management reported the migration of an Essure device from a 41-year-old woman’s Fallopian tubes to her abdomen. According to the study, about 13 cases of abdominal migration are documented in literature, but other studies indicate that number could be much higher. A case study published in Case Reports in Obstetrics and Gynecology on Nov. 18, 2015 indicated that the number of abdominal migrations is most likely higher because “it is possible for migration to occur without additional complications. Abdominal migration most always requires surgery to remove the device, according to studies. Essure has undergone several label changes since its approval more than 13 years ago, including a nickel sensitivity warning in 2011 and a pregnancy warning in 2012. In 2013, the FDA required a label change on Essure to include the potential risk of chronic pain and device migration. But label changes are far from over. This past year, after a special panel convened in September to review the potential risks of Essure, the FDA said it would issue a black box warning to be included on the product’s label. Black box warnings are the strongest warnings the FDA requires and indicate that a product carries a significant risk of serious or life-threatening adverse effects. The FDA called on the public to submit suggestions on the possible language of the black box warning. Submissions were opened up earlier this month and continue until May 2016. 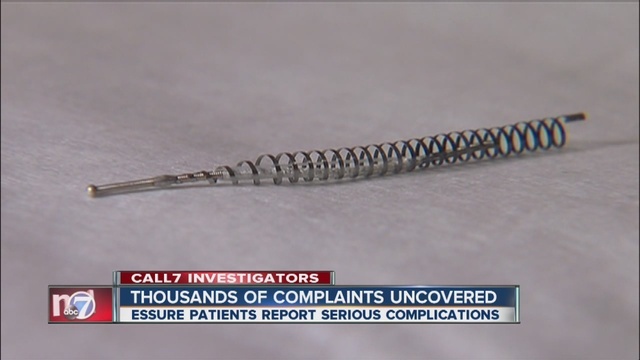 Still, women affected by Essure continue to put pressure on the federal agency to take it off the market and have taken their complaints to Congress. This past November, the E-Free Act was introduced in the House of Representatives which, if passed, would direct the commissioner of the FDA to withdraw Essure’s approval. Because Essure was approved by the FDA under its pre-market approval procedure, it is preempted under federal law. That hasn’t stopped dozens of women from filing lawsuits against Bayer, alleging the company failed to warn women of the potential risks associated with the product. If you are someone you love has had the Essure device implanted and experienced any adverse side effects, contact National Injury Help today for a free case evaluation. To see if you qualify, use the form on the right-hand side of your screen or call us at 1-800-214-1010.